Added to our range by popular request. 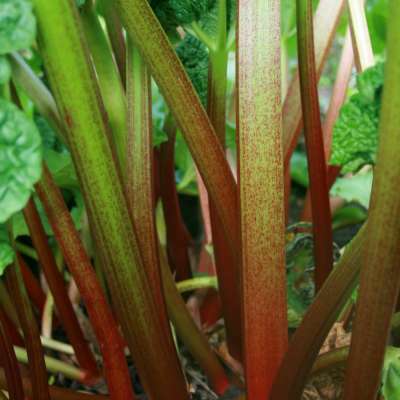 This old variety is renowned as one of the sweetest, most beautifully flavoured of all Rhubarb varieties. The ample sticks have a pale pink flush and are tender, sweet and juicy. Large leaves, maturing early-mid season, this is a productive and robust variety.